As you can see, these have the same makings as most of my muffins. I just swapped out a few of the flavors. I know not everyone likes the texture of shredded coconut, so I pulsed it a few times in the food processor to get smaller pieces. I just loved how well these muffins rise. They are always light and fluffy. When I was taste testing the glaze, it was pretty strong. However, it ends up soaking into the muffins and the tequila taste mostly goes away. I actually ended up double glazing mine because I forgot to have the toasted coconut ready before the first layer of glaze set. The toasted coconut flakes added more flavor and a bit of crunch. 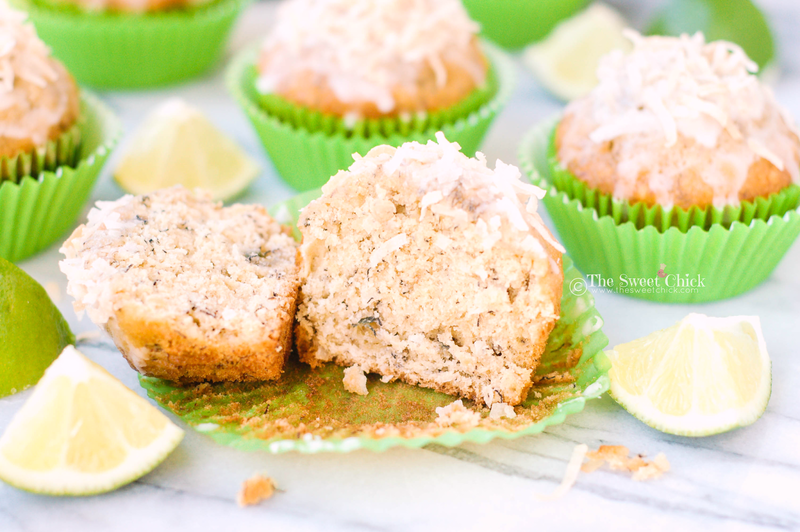 These Coconut Banana Muffins came out moist and full of coconut flavor, without being dense or overly sweet. 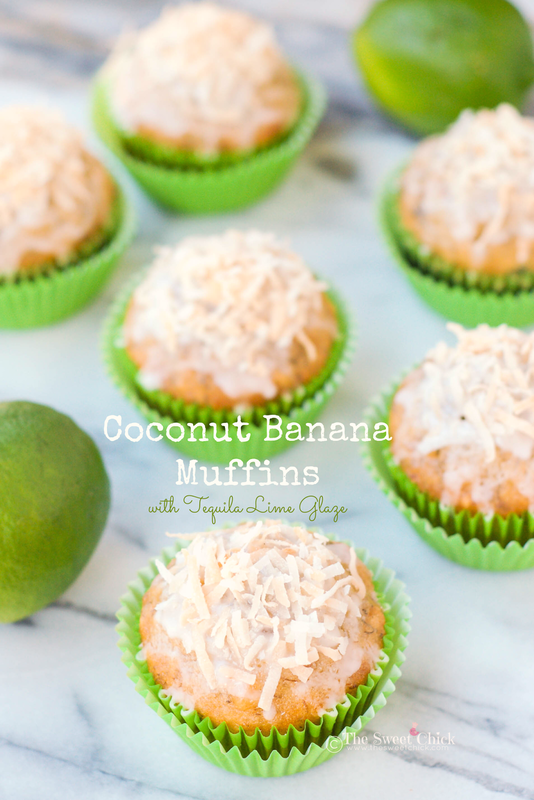 The Tequila Lime Glaze added a little tang to balance the sweetness of the coconut. If you just want to add a lime glaze, you could just replace the tequila with water. 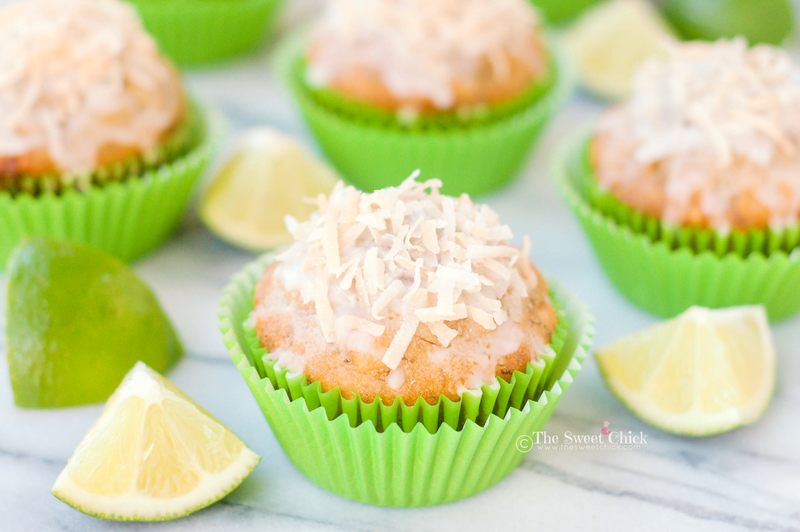 Just looking at these muffins has got me thinking of summer; sitting by the pool with a margarita in hand. Oh yeah, baby! I am ready. Are you? Perhaps you should make some muffins to get you going. 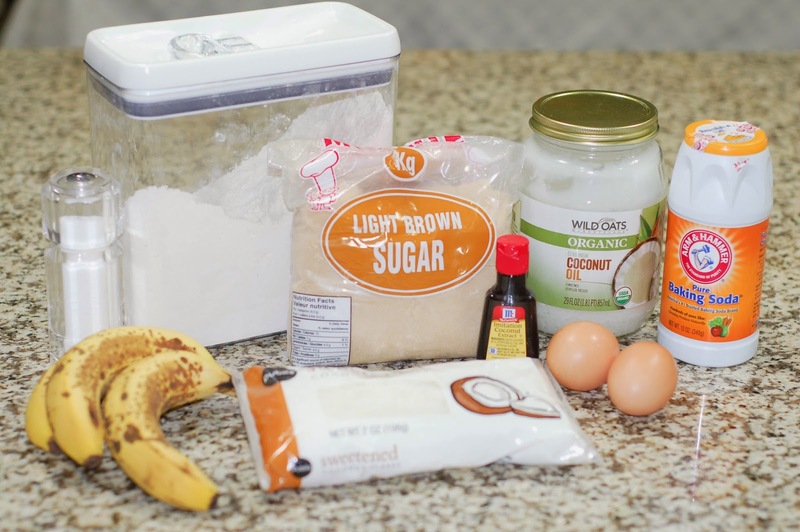 In a stand mixer bowl add sugar, oil, eggs, and coconut extract. Mix on low speed until completely blended. Next add in the flour, baking soda, and salt. Mix until well blended. 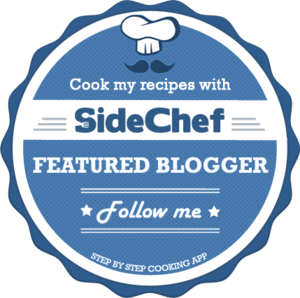 Lastly, add the shredded coconut to the mixer bowl and mix on low until completely incorporated. Remove from oven and place on cooling rack. Cool completely before adding glaze. 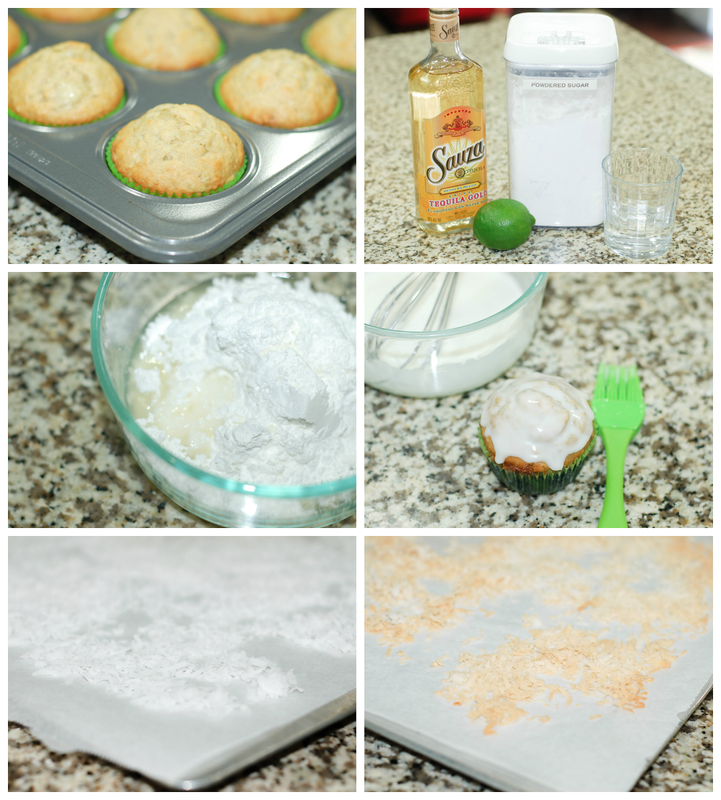 In a small bowl, whisk together the powdered sugar, lime juice, tequila, and water until smooth. 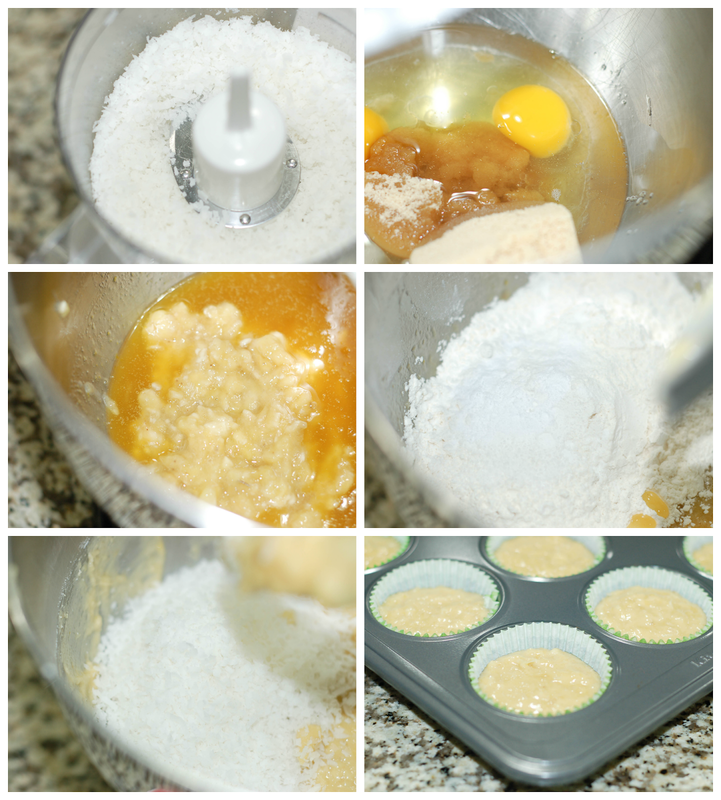 Brush the glaze over the tops of the muffins. If you add sprinkles or toasted coconut flakes to the tops of the muffins, do so before the glaze sets. To make toasted coconut flakes, lay out 1/2 - 1 cup of sweetened coconut flakes on a parchment lined cookie sheet and bake at 325°F for about 10 minutes or until golden brown, stirring them around half way through. Let the toasted coconut flakes cool before adding to the muffins. You can keep any extra flakes in an air tight container and use it over ice cream, waffles, etc. If you do not want to add tequila to the glaze, simply replace the quantity with water. If you want to add more glaze, let one layer of glaze set before brushing on another. I make an icing that is wild. I blend a vanilla icing with some apple juice and only a touch of lemon. do my essay for me. It runs truly well with my coconut peach biscuits, and I appreciate it with some coconut mango tea(Made by Stash Tea Company, CocoMango Oolong Tea.